After all the professional drop photography I talked about yesterday, here is some of my own from a walk that I took after the amazing and slightly overwhelming experience of giving the laudation speech at the opening of an art exhibition. Below, I really liked how the wave rings have such different sizes and amplitudes depending on whether they were made by rain drops or ducks (you might have to click the image to enlarge to see what I am talking about). And below, I love so much about this picture. The long waves with the very small amplitude that are coming into Kiel fjord from some far-away storm. 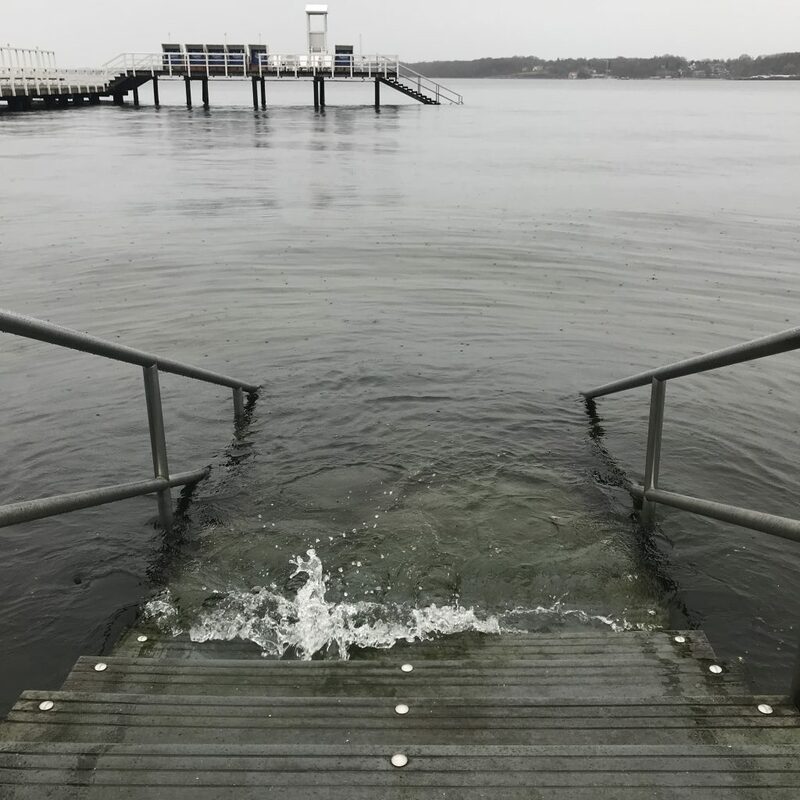 The short waves and small scale turbulence that is created where wave crests just manage to flood a step on the staircase, but the water then flows off it again during the next wave trough. The small speckles made by rain drops. The fact that it seems to almost be summer again because the beach chairs are back! And, of course, that I caught the splash and the flying drops of the wave. 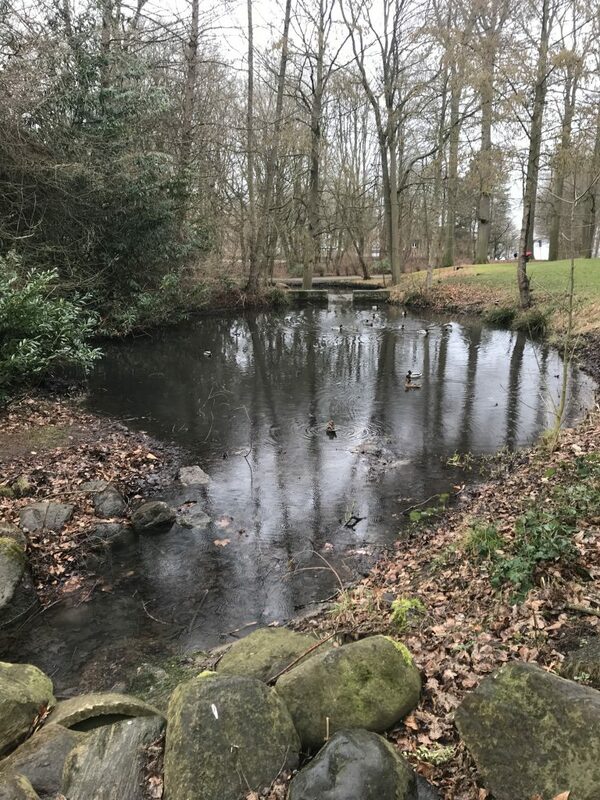 This entry was posted in observation, wave watching and tagged ducks, Forstbaumschule, rain drop, raindrops, Seebad Düsternbrook, splash, wave watching on March 4, 2019 by mglessmer. Let me tell you the story of the picture below. 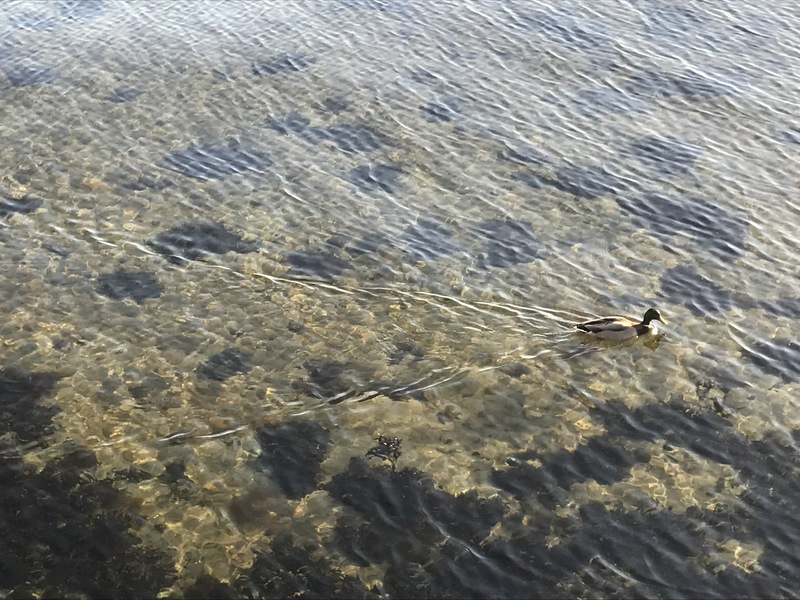 I was walking along Kiel fjord with some friends and we saw this mama duck with all those tiny cute ducklings. We stopped and oooo’d and aaaaa’d and they were just so adorable!! But the after a while they swam on and we continued walking. But then there were people standing on the sea wall, obviously very worried about something. 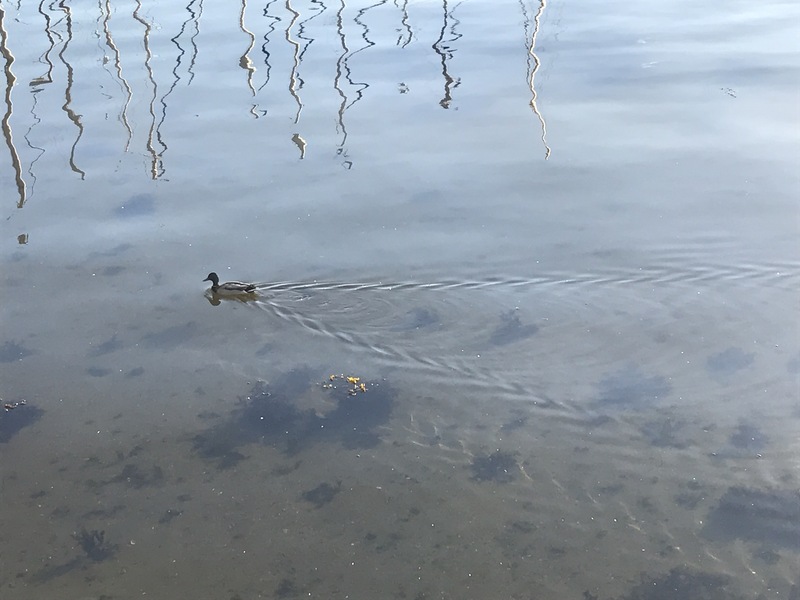 And then we saw it: a tiny duckling that had gotten separated from its family! 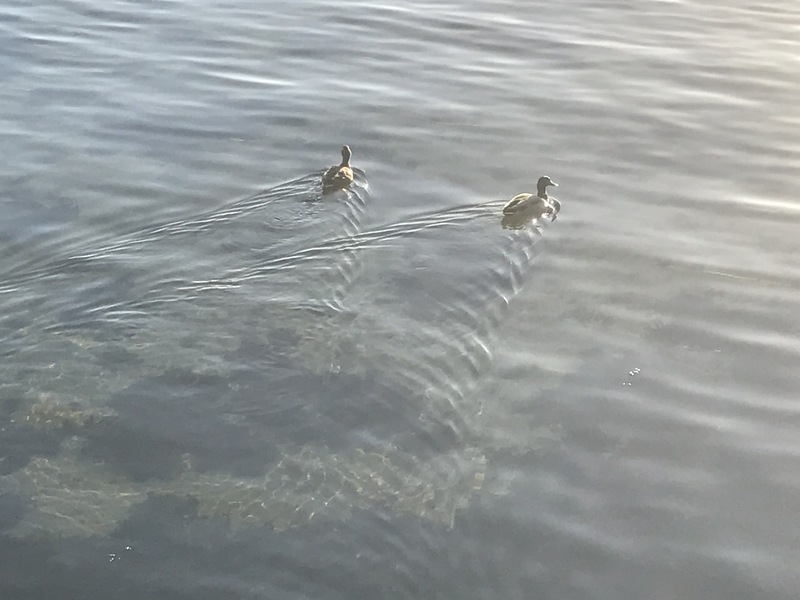 It was struggling so hard to catch up with the rest, but they were swimming together while the little one was trying to climb over the rocks along the sea wall! The distance grew larger and larger. 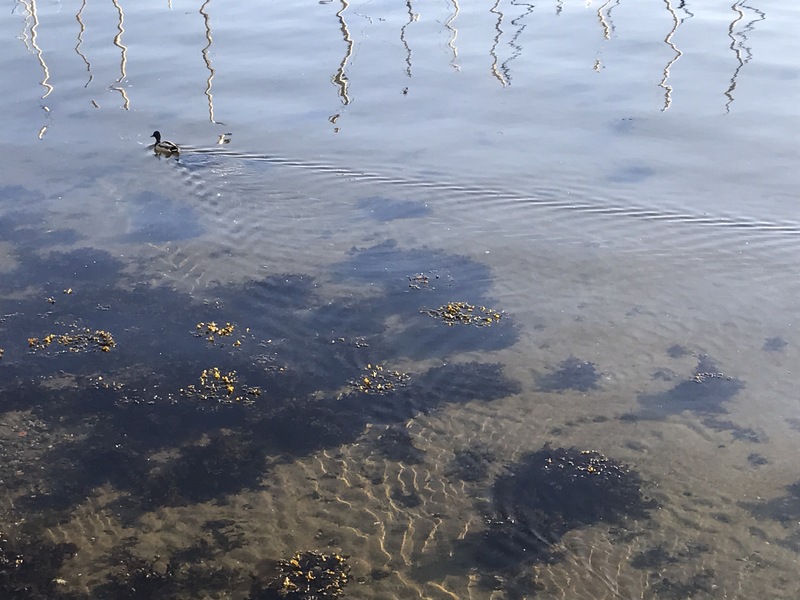 People started cursing mama duck for leaving the little one, or were pleading with her to come back for the poor baby. 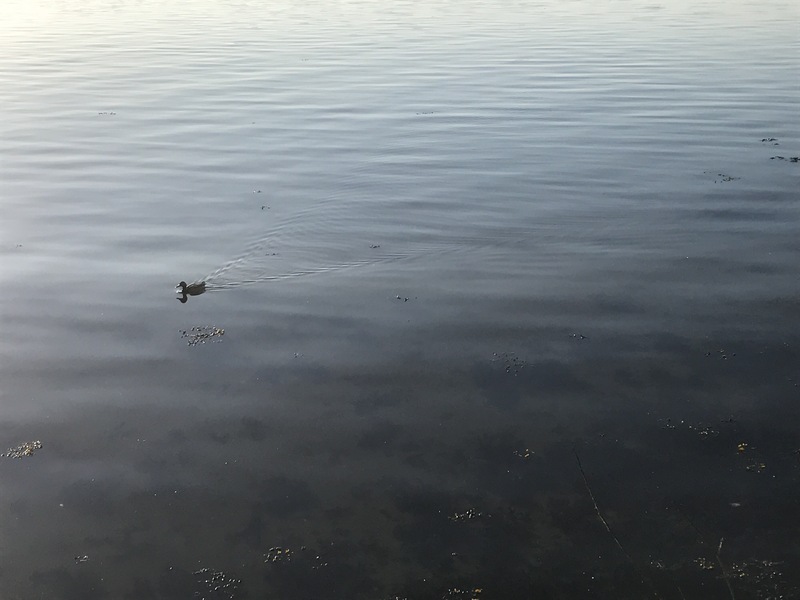 And then mama duck started heading out into the open fjord, where it was a lot more windy and wavy. How should the poor baby ever catch up? Eventually mama duck turned back. But she didn’t spot the baby! 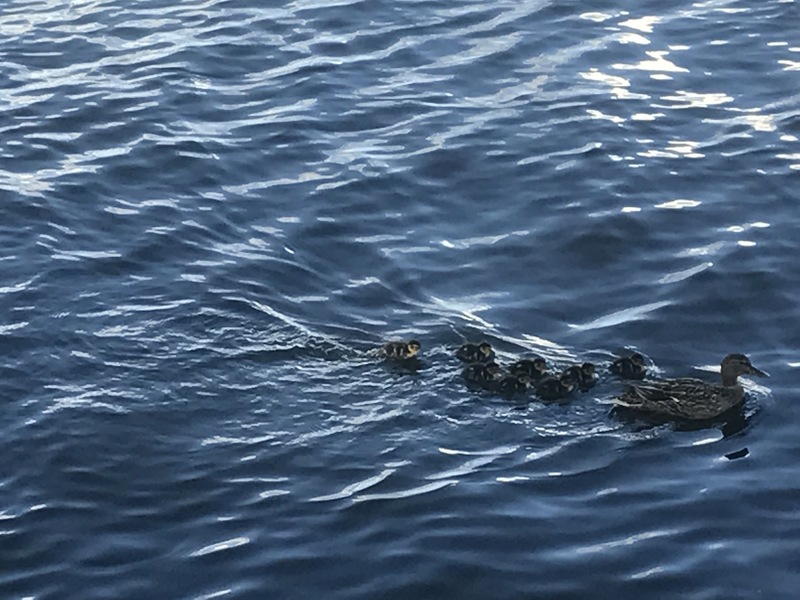 They all swam in the wrong direction away from the baby! It was dramatic. The crowd on the promenade was agitated. People were heading towards the ladders to climb down and rescue the baby! Then, finally, mama duck and all the siblings came back. 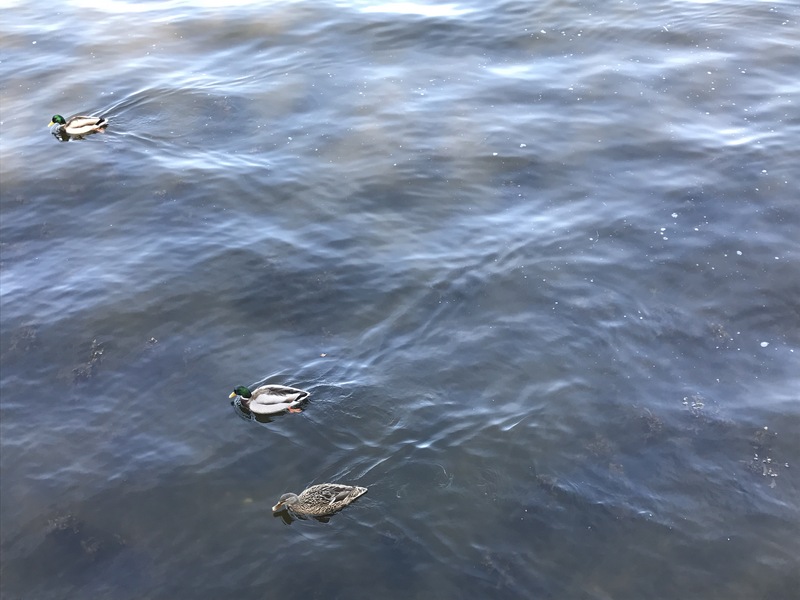 Baby duck sprinted back to its family and finally everybody was reunited. Phew! The crowd wasn’t quiet ready to leave, not quite trusting mama duck that she wouldn’t abandon baby duck again. But then we decided that we had seen the happy ending, the scar hadn’t hurt for 20 years and all was well. The structure inside of the legs of the V is clearly visible. And what’s even better: you can see the pattern on the sea floor, too! 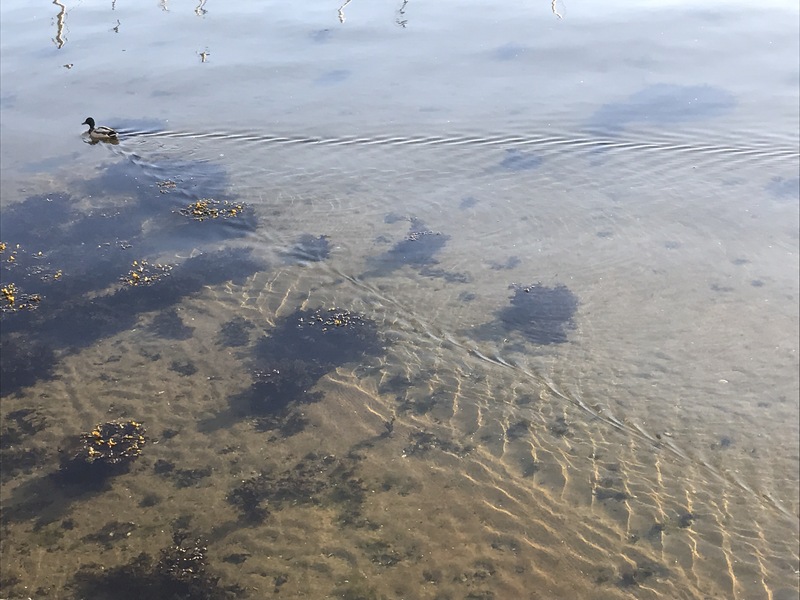 The more I observe waves, the better I get at noticing details that were probably always there but that never stood out to me as clearly as they do now. 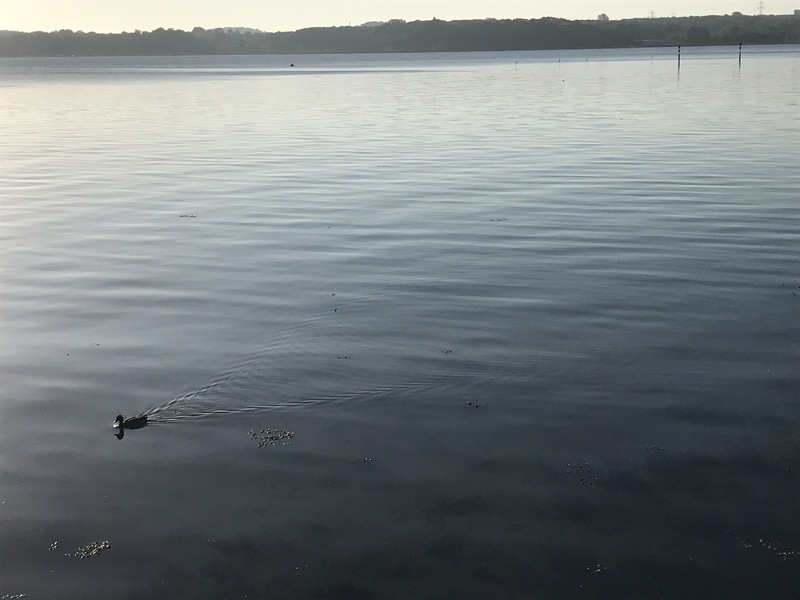 This entry was posted in observation and tagged ducks, Kiel fjord, wakes, waves on June 5, 2017 by mglessmer. 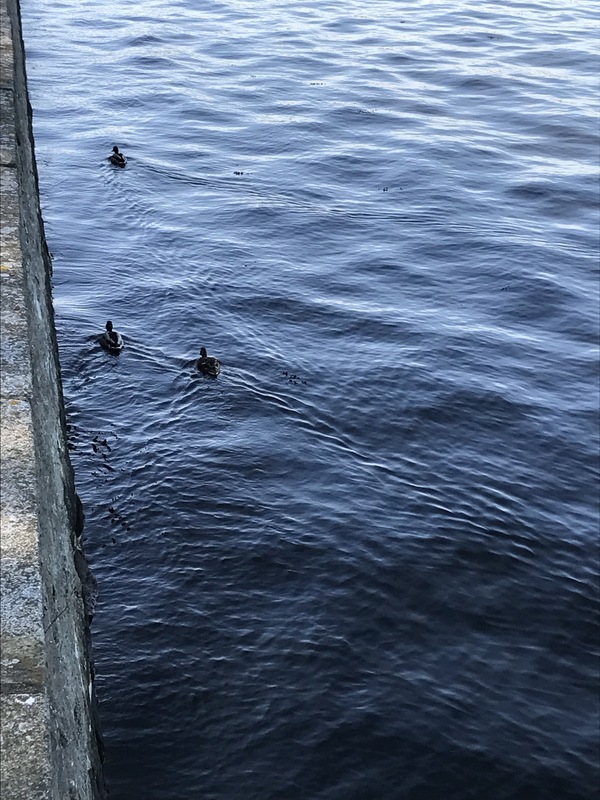 I really like observing the wakes of ducks. Much easier to watch than those of ships because the scale is much more person-standing-on-the-sea-wall friendly. Also much less turbulence messing up the pattern. And you can get closer than you usually could. All three pictures from the same morning, taken within a minute of each other! Another awesome way to make my point about how waves look really differently depending on the angle one looks at them. Below for example my “other” way to observe waves: See how the wake leaves a shadow on the sea floor? 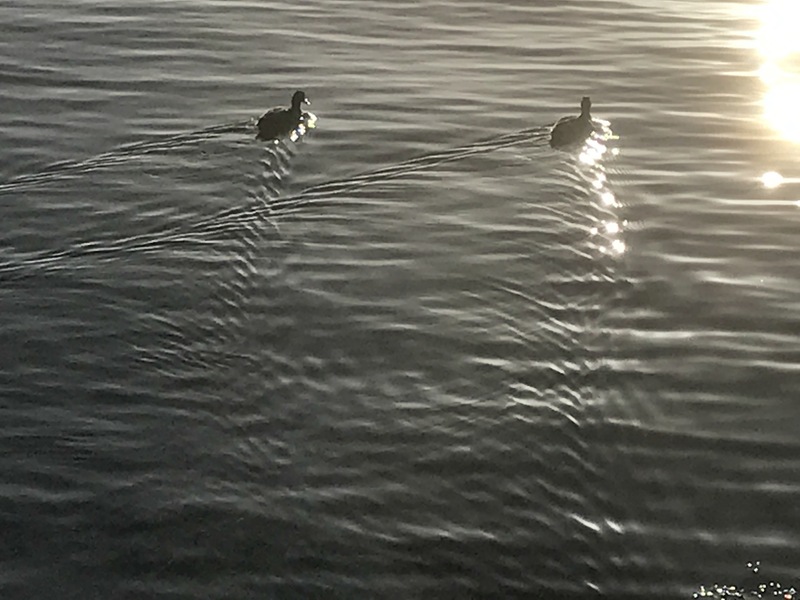 This entry was posted in observation and tagged ducks, wake, waves on April 11, 2017 by mglessmer.